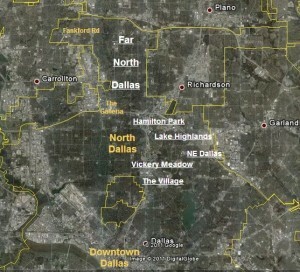 Northern Dallas is really the true center of the city. Most jobs, people, money, entertainment, are north of Downtown. Northern Dallas is a large sprawling area with a great variety of interesting neighborhoods. There are well over 50,000 African Americans in this area. There is a large concentration of African Americans in the north and northeast section of the city of Dallas. This area consists of the communities of Far North Dallas, Lake Highlands, NE Dallas, Vickery Meadow, Hamilton Park and some in The Village. Many young black working class and professionals have chosen these areas for many reasons. 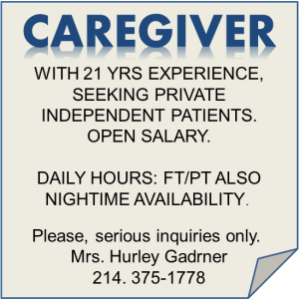 Proximity to jobs, which are heavily concentrated in Northern Dallas, reasonable apartment rents, and the some of the best shopping and entertainment the city has to offer. Most African Americans in this area live in one of the hundreds of apartment complexes. The majority of transplants from nearby states and other large cities throughout the country (LA, Chicago, New York, etc.) live here. There is also a significant Caribbean and African immigrant population here.